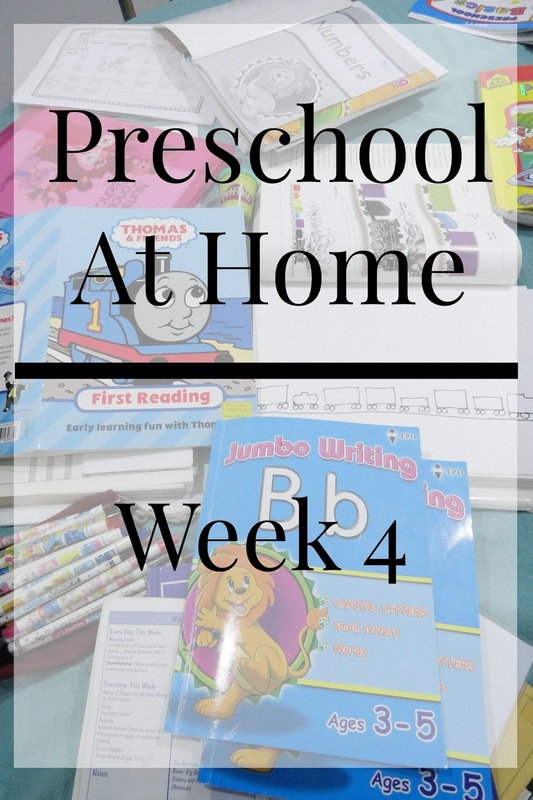 My thoughts on homeschooling this week delve into the interesting situation of homeschooling abroad. America is the land from which most English-language homeschooling materials are sourced, and most resources reference American things--American money, American animals, American holidays, American seasons. Sometimes this creates a bit of a conundrum for me when it comes to planning what I want to teach my two little Malaysians. Sometimes I make executive decisions in planning to not focus on things that would be a much more real thing in the lives of American preschoolers--that aren't particularly "real" for my little girls. We celebrate Merdeka Day, not Labor Day, here (and that's why we had a 4-day school week this week). A farm in Malaysia looks very, very different than the red barns and cornfields plastered all over a unit about farm animals from the USA. Most preschoolers in the USA aren't juggling English with Bahasa and Mandarin Chinese. There will come a day when these girls need to learn more about the rest of the world, including the USA, but for now, I'm trying to keep their education close to home, so that their book-learning matches up with what they actually experience of life. For example, for this week, I'd choose a taxi craft over a tractor craft because the girls have real-life experience with taxis and NOT John Deere tractors (totally different childhood than mine--I rode green tractors in infancy). -Practice writing names. Anna is also writing a few words like Mom and Dad everyday. -Found things in the house that started with the 'T' sound. -Asked, "Does your name have the letter T in it?" -Listened to the Letter T Song. -Made the letter T with our bodies. -Made the colorful train from the book Freight Train. -Used Dad's measuring tape to measure how tall they are. -Counted how many trucks, cars, and planes are in our toy collection. -Counted blocks. Made patterns with different colored blocks. -We practiced adding an end letter, too: ta-n, tu-ck, te-d, ti-n, to-t.
Bible and Storytime: Week 4 from Sonlight Core P4/5 Instructor's Guide. -Asked questions like, "If you want to go to Singapore, will you take a car, a taxi, or an airplane?" "If you want to go to Cameron Highlands, will you take a taxi, a bus, or a car?" "If you want to go to the mall, will you take a bus, a car, or a motorcycle." They were really good at this. They said that when you go to Singapore, first you take a taxi to the airport, then you take an airplane. Awesome! -We talked about all of the vehicles that our families have. -We made a train craft using paint (watercolor), matching the colors of our cars to the colors of the car in the book's train. -Discussed all of our siblings, and compared sizes, which siblings are bigger and which are smaller. -Also listened to this video with Vehicle Vocabulary Words in Bahasa. -Helped me wash bok choy and potatoes. -Played with Sarah's old scooter in the hallways of the apartment building. Whee! Hello, I'm visiting from the Peony Project! You offer a great resource here for those who home school. I don't even have any kids yet, but I have thought about the idea of doing some home schooling when I do. You make it sound so fun! :) Off to explore more of your blog now! I never thought much about international homeschooling. I suppose that is an untapped market! Wow, this is such a great lesson plan. I have to say I have been personally considering homeschooling just never knew how to do it!! I also love to incorporate playdough into learning. It is so versatile! Ha that is so good - customizing their learning experience so it makes more sense with their lifestyle - you are a fantastic teacher! I really appreciate the links you include in your posts, too. I save them to my "Annabelle" folder so I can show her the videos during our learning time :) I think my favorite part of your homeschooling day, though, is the Life Skills section. I get very excited about teaching my kids how to cook and clean and take care of themselves like little individuals. It's such an overlooked element of life back here in the good ol' US of A. Awesome week and thanks for sharing with us!! I love your creativity in lesson planning! I'm a high school teacher, so I understand the time and dedication you must have to homeschool. I just bookmarked this! My little one is not quite 1 year old yet, but I"m looking forward to doing home-preschool, or "tot school" as I just learned some call it.. Thanks so much for sharing these great ideas! Found you at The Peony Project. Pop over and visit me at www.lucymargaret.com. Happy holiday weekend! You are so very dedicated to keep track of all this homeschooling and make such creative, innovative ways to teach! I especially love that you make crafts for the books you read. How fun!! I would have loved your homeschooling as a child. And... you're right, I shouldn't have said it's the "final" Northern Lights tale. ;) I'm sure there will be many more! Good job, mommy! It looks like an awesome lesson on letter T and Transportation. I love how you incorporated movement into your lesson, by using bodies to make a letter "T." And Freight Train is a definitely a bit hit in our house.